Martin Brunet mainly focuses his practice on corporate law, merger & acquisitions, private equity as well as national and international contracts. Martin advises, in Aurélia TOUATI’s team, corporate executives, French and international companies in the development of their activities mainly as regards fund raising, restructuring, merger & acquisition and external growth transactions. He assists our clients in shareholders relations or advises them for the negotiation of commercial contracts and joint-ventures. 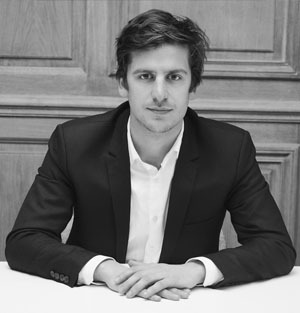 Martin was admitted to the Paris Bar in 2017 after graduating from the University of Lille II Law school. He has several experiences in private equity in law firms as well as in the investment fund PAI Partners.